With 19,170 people in attendance on Saturday, Oct. 6, the UTSA Roadrunners beat Rice University 20-3 at Rice Stadium. 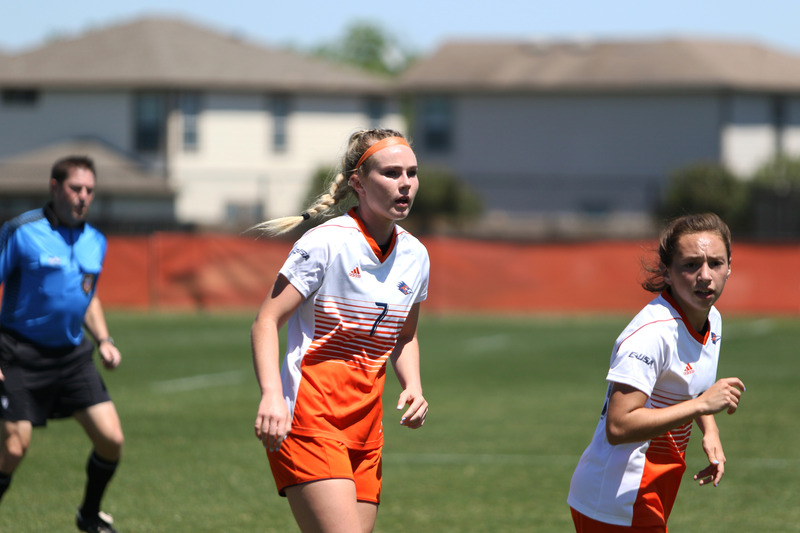 The win gave the ‘Runners their fourth winning streak against Rice and their third win in conference play. The ‘Runners surpassed Rice in rushing yards 135-47 and in interception returns 2-0. Kicking off the game, Rice won the toss and opted to receive the ball at the south end of the stadium. Rice defensive tackle Myles Adams sacked quarterback, Cordale Grundy, for a 10-yard loss to the UTSA 43-yard line. Regaining possession of the ball, the ‘Runners rushed for 19 yards before Grundy passed the ball 16 yards downfield to Anthony Ekpe. As UTSA crept their way to the end zone, Jared Sackett launched in a 44-yard field goal with 44 seconds left, ending the quarter with UTSA in the lead 3-0. Jumping into the second quarter, punter Jack Fox sailed the ball back to the ‘Runners on the UTSA 6-yard line. As the ‘Runners were unable to get close to the end zone, they returned the ball back to the Rice Owls. On the following drive for the Owls, UTSA called a timeout when Rice was on fourth down with two yards to go. The Owls threw an incomplete pass, turning the ball back over to the ‘Runners. As the Owls moved the ball away from their end zone, Cassius Grady intercepted quarterback Jackson Tyner’s pass, giving the ‘Runners possession on the Rice 3-yard line. UTSA running back B.J. Daniels ran in a 3-yard touchdown, pushing UTSA ahead 10-0. Rice came out with 6 minutes, 51 seconds left on the clock and was penalized 5 yards due to a false start on the play. On the Owls’ second down, UTSA defensive end DeQuarius Henry recovered a fumble from Tyner at the Rice 14-yard line. With the ball back in UTSA hands, there was a holding call on the ‘Runners third down, resulting in the ball being pushed back 10 yards, forcing Sackett to kick in a 40-yard field goal. After, linebacker Les Maruo sacked quarterback, Shawn Stankavage, on the Rice 25-yard line. As the quarter closed, the ‘Runners ended the half with possession of the ball and in the lead 13-0. On the Rice 25-yard line, the Owls began the half with an illegal formation, bringing the ball to the Rice 30-yard line. For the first 6 minutes, 32 seconds of the game, the Owls had possession of the ball, inching their way towards the end zone, before kicker Haden Tobola kicked in a 28-yard field goal. Closing the final two minutes of the quarter, UTSA called a timeout on their third down. Rice ended the quarter in possession of the ball, but behind 13-3. Launching into the fourth quarter, Rice began with the ball and rushed to the UTSA 34-yard line, punting the ball back to UTSA. The ‘Runners inched closer to the end zone with rushing yards until they reached the Rice 40-yard line. On their fourth down, the ‘Runners were forced to punt the ball back into Rice’s hands. 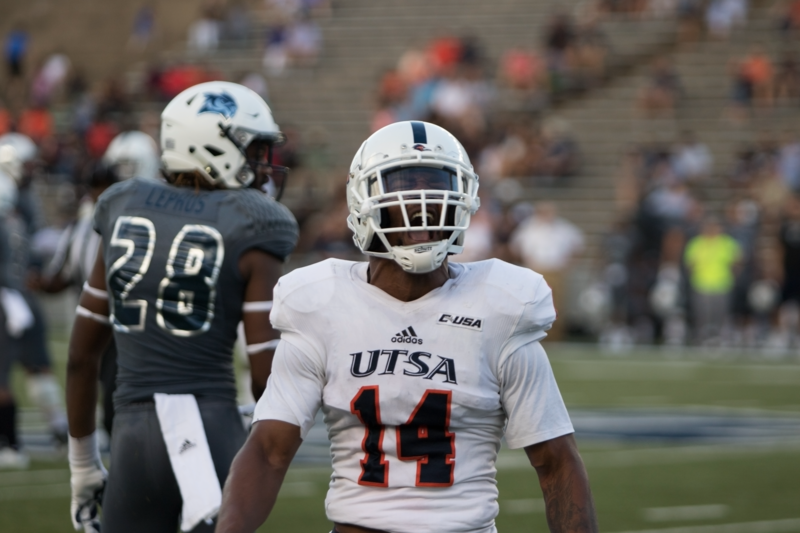 Once UTSA regained ownership of the ball, running back Jalen Rhodes ran in a 1-yard touchdown, pushing the ‘Runners to 20-3. Finishing out the quarter, cornerback Teddrick McGhee intercepted Stankavage’s pass on the UTSA 35-yard line, ending with the ball in UTSA hands and another win for the ‘Runners. Find the ‘Runners on Saturday, Oct. 13, at the Alamodome for the ‘Runners homecoming game against Louisana Tech University at 6 p.m.